From home décor canvas wraps and tufted carpet media to 13 oz. banner material and everything in-between, Ultraflex Systems is the leading PVC and specialty substrate developer and supplier with innovative products that can cover any indoor or outdoor digital media need. Ultraflex Systems is a premier media company renowned in the industry for introducing unique new products to the market every year. Our company currently has more than 60+ digital materials printable on solvent, eco-solvent, UV, Latex, direct dye, dye sublimation and screen printing equipment in our product lines, and we stock an enormous inventory of more than 100,000 rolls of digital media in our five North American warehouses. Our Specialty Materials, VorTex S and VorTex D lines at Ultraflex Systems feature exceptional canvas fabrics and materials that are used for many long-term indoor and short-term outdoor digital media applications such as home wallcoverings, wraps, fine reprographics, tradeshow exhibits and more. UltraCanvas Artist S325 is available in 122” and 198” widths and has a unique bath coating process that allows dual matte or gloss finish printing surfaces. 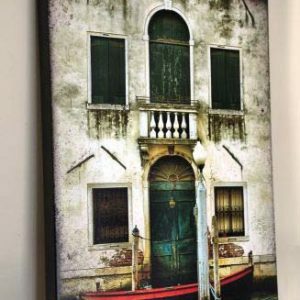 Additional media products in our lines at Ultraflex Systems that are suitable for home décor canvas wraps include UltraCanvas Heavy S285, UltraCanvas Economy S205, UltraCanvas Backlit D280 and Artex Canvas. Contact us today to learn more about our products and services or request 13 oz. banner material, vinyl flooring and/or other digital media product samples and literature. Shipping of samples to locations in the US and other locations globally typically occurs within 5 business days.